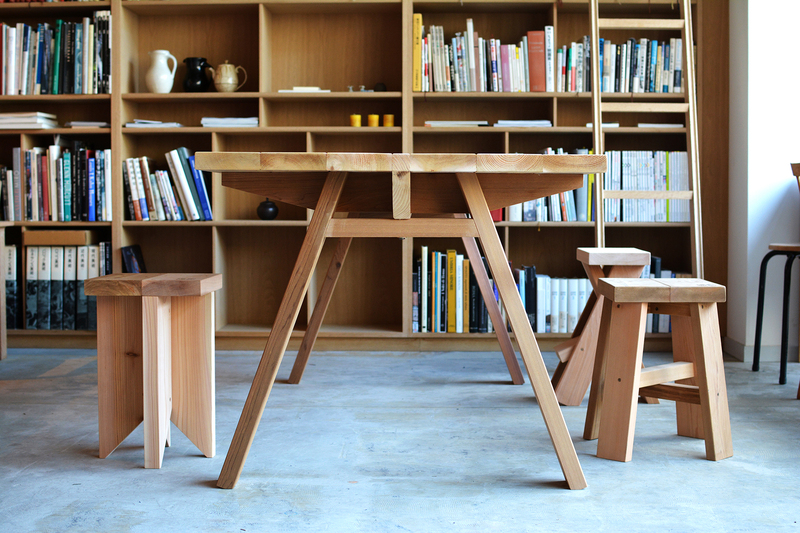 The KOBO TABLE was originally designed for “IRORI”, Ishinomaki’s first coworking space created after the 2011 earthquake and tsunami. 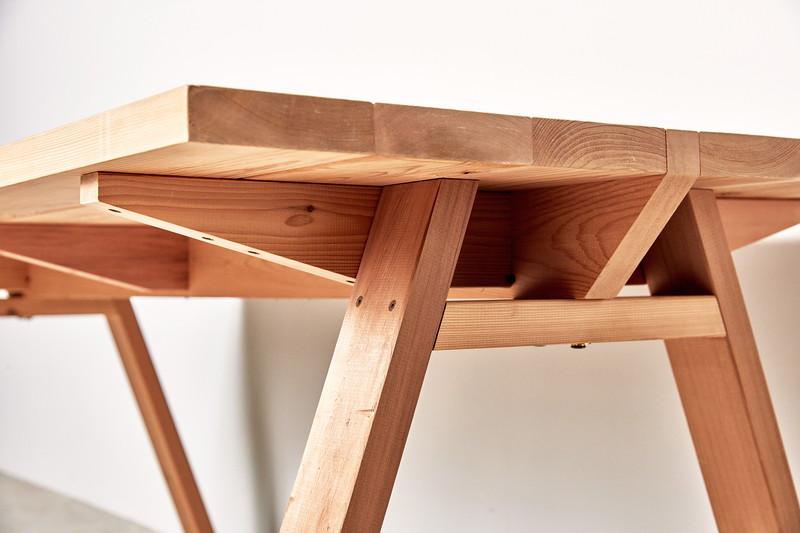 The table shares a similar design and construction to the ISHINOMAKI BENCH and STOOL, complementing each other when used together. 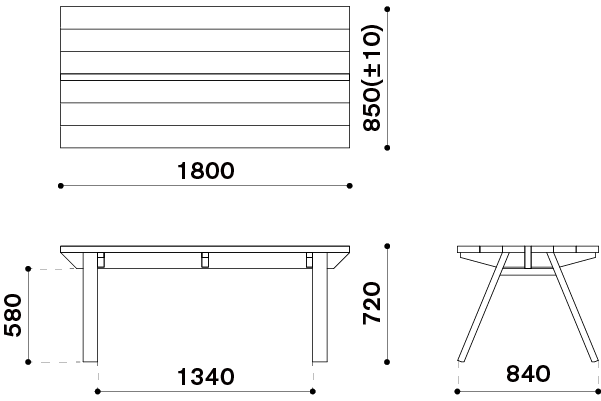 Suitable for use indoors and outdoors, this sturdy and durable table can be found throughout the city of Ishinomaki, in places such as offices, bakeries, and local restaurants. (b. 1973) lives and works in Tokyo, Japan. After graduating from Yokohama University School of Architecture in 1995, Ashizawa spent the first ten years of his career working as both an architect and steel fabricator. The unique skills and experience gained throughout these early years, including a valued understanding of metals, continue to influence his approach to design. Keiji Ashizawa presents work of ‘honest’ design – simple yet refined, thoughtful and of a light manner – derived naturally through the process of attempting to maximise the potential of each material and its function. He excels in applying these ideas to projects of various scale, from furniture and lighting design to architecture and exhibition design. His furniture and lighting have been exhibited internationally since 2001. 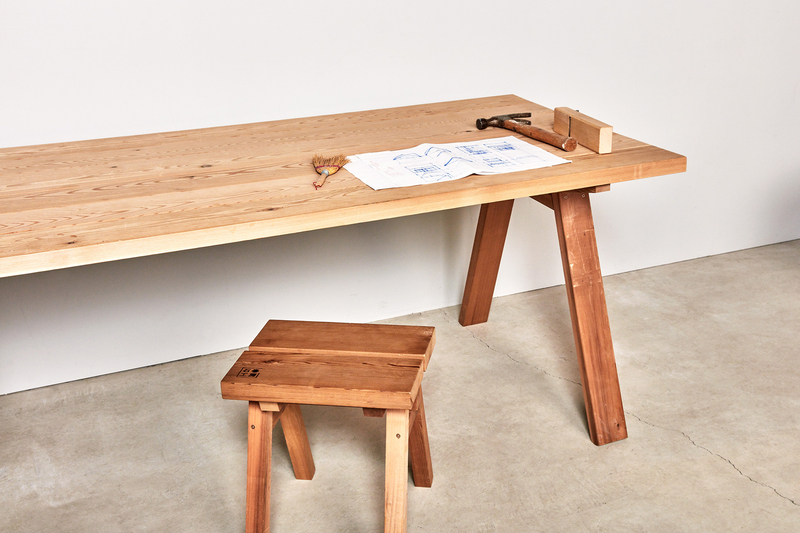 In 2011, Ashizawa was awarded a ‘Special Award’ by the Japan Institute of Design for his principal participation in the inception of Ishinomaki Laboratory – a DIY furniture workshop established in Ishinomaki city, Japan, after it was devastated by the tsunami triggered by the Great East Japan Earthquake.